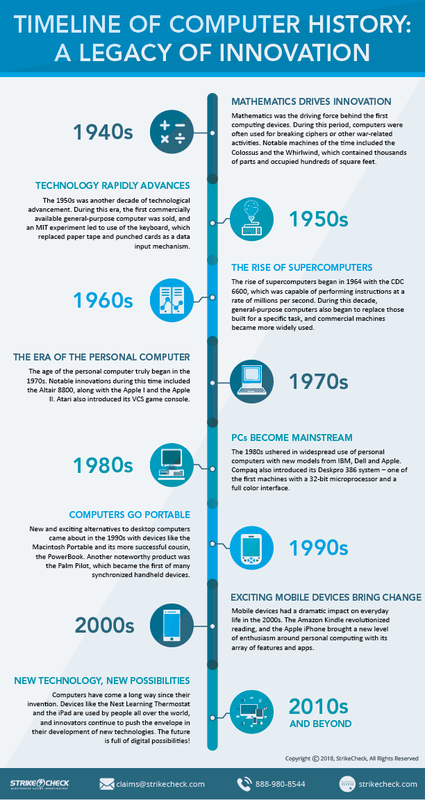 Did you know that the components that make up your personal computer today were founded as far back as 1937? Sure, personal computers only started becoming mainstream in the 1980s and the 1990s, but they were used in industry and science applications for decades prior. From Complex Number Calculators in 1941 at Bell Telephone Laboratories to the Apple Watch, read on to find out how these fascinating electronics have evolved over the decades. You may not be surprised to learn that mathematics was the driving force behind the very first computing devices. In the early 1940s, the Z3 computer was completed by Konrad Zuse, a German engineer who wanted to perform aerodynamic calculations using floating point binary arithmetic. Later entries in this decade included the Atanasoff-Berry Computer, completed in 1942, and the Harvard Mark I. 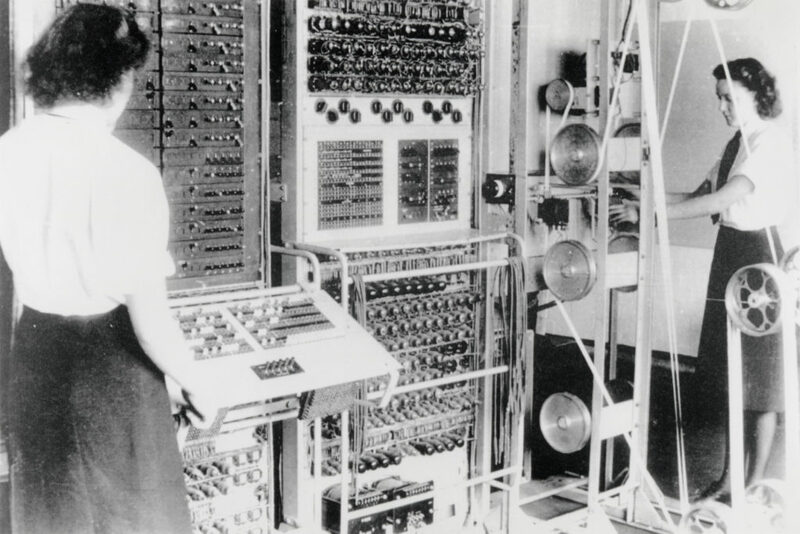 During this period, computers were often used for breaking ciphers or other war-related activities, and grew from relatively small desk-size devices to the 50-foot long Colossus and the Whirlwind, which contained thousands of parts and occupied hundreds of square feet. 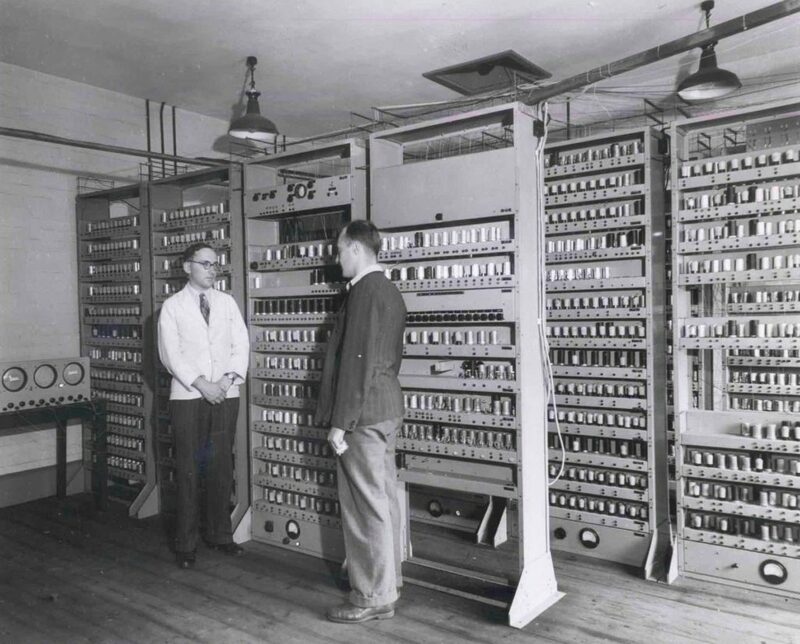 In 1948, the revolutionary ENIAC was unveiled to the public. The machine weighed 30 tons, utilized over 18,000 vacuum tubes and had computing speeds of up to 1,000 times faster than previous computers. The 1950s was another era of rapid development, starting with the EDSAC built at Cambridge University. This first introduction of subroutines allowed repetitive calculations and tasks to become part of a larger program, which greatly expanded the potential and speed of computing. In 1951, the first commercially available general-purpose computer was sold – the Ferranti Mark 1 – to Manchester University. IBM entered with a bang in 1953 with its Model 701 electronic data processing machine, as well as its 650 magnetic drum data processing machine (which is considered to be the first mass-produced computer). MIT rejoined the conversation in 1956 with their experiment that concluded with the first direct-entry mechanism – the keyboard – which replaced paper tape or punched cards. This era wrapped up with the introduction of the first large-scale communications network with the SAGE 23, an air defense system that contained a whopping 13,000 transistors. 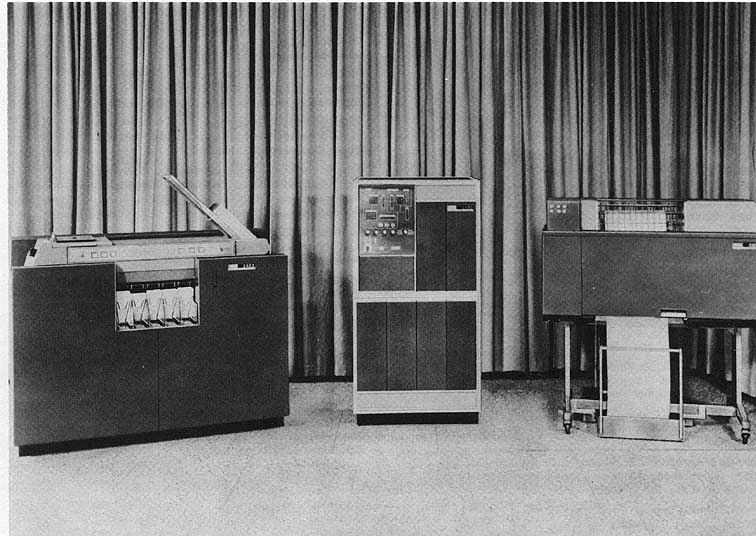 The introduction of the IBM 1400 series in the early 1960s brought one of the first widely-produced computers, and demand rose to more than 12,000 units. The rise of the supercomputers began in 1964 with the CDC 6600, which was capable of performing instructions at a rate of nearly 3 million per second. During this period, general-purpose computers began to replace those built for a specific task, such as the Olivetti Programma 101, a calculator that sold over 40,000 units in 1965. By the end of the 1960s, commercial computers were much more widely used, with the Apollo Guidance Computer (produced to navigate the first Apollo flight to the lunar surface) shrinking to less than one cubic foot in volume. The era of the personal computer truly began in the 1970s. The Micral, sold mostly in France, was one of the earliest personal computers not based on a kit. Hewlett-Packard solidified their dominance of the handheld calculator market with their HP-35 calculator, which was significantly smaller and faster than other computing devices at the time. The 8H personal computer from Scelbi was one of the first commercially advertised machines in the U.S. that was available fully assembled. However, it was the MITS Altair 8800 that began the new era of computing. This new entry into the market included the BASIC language interpreter as programmed by Bill Gates and Paul Allen. At less than $400, the Altair 8800 was produced through 1978 and sold briskly due to Popular Electronics magazine ads. 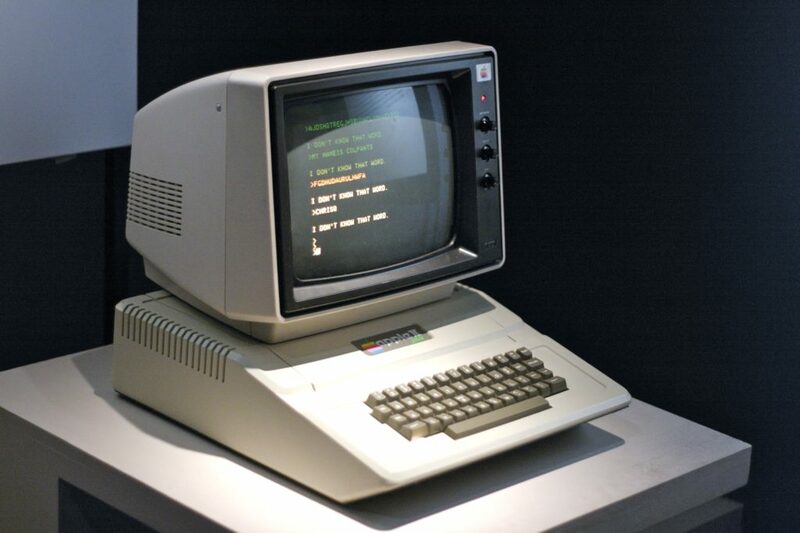 In 1977, the Apple I was introduced by Steve Wozniac and Steve Jobs, followed shortly thereafter by the Apple II. In perhaps one of the most brilliant marketing moves in history, Apple gave away thousands of Apple IIs to schools, effectively introducing the next generation to the new computing machine (which eventually sold millions of units). Atari rounded out the decade with the intro of the Model 400 and 800 personal computers, which were often used for gaming, along with the Atari VCS game console. 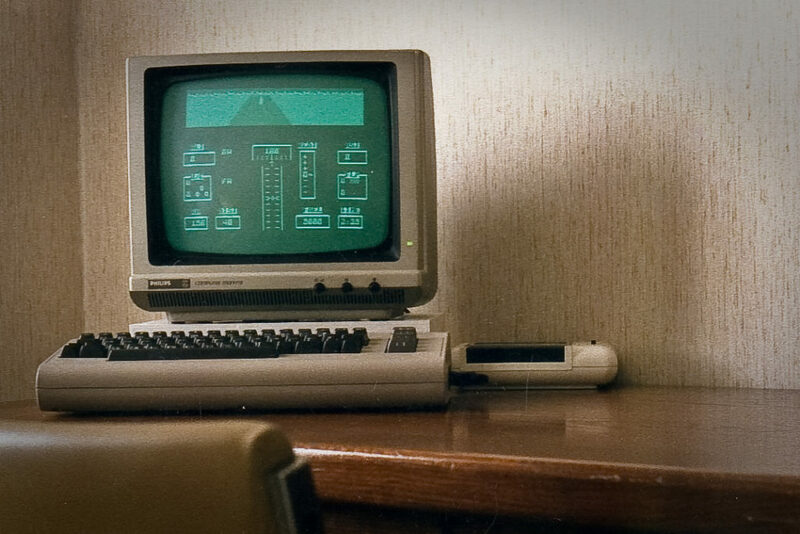 The 1980s ushered in widespread use of personal computers, starting with the Commodore 64 in 1982. Between 1982 and 1983, IBM introduced its PC entry, which was widely cloned. It included a massive marketing campaign that caused personal computer sales to boom and used the MS-DOS operating system. While MS-DOS lasted for quite some time, the intro of the Apple Lisa computer (followed by the Macintosh) brought the GUI (Graphical User Interface) to the forefront. Dell and Compaq entered the fray in the late 1980s with the Turbo PC from Dell and the Compaq Deskpro 386 system – one of the first machines with a 32-bit microprocessor and a full-color interface. After being outed at Apple, Steve Jobs took a step in 1988 that would be the building block for Apple’s future – the NeXT Computer, which included the NeXTSTEP programming environment and eventually became the foundation for the well-known Mac OS after a 1996 acquisition of the technology. 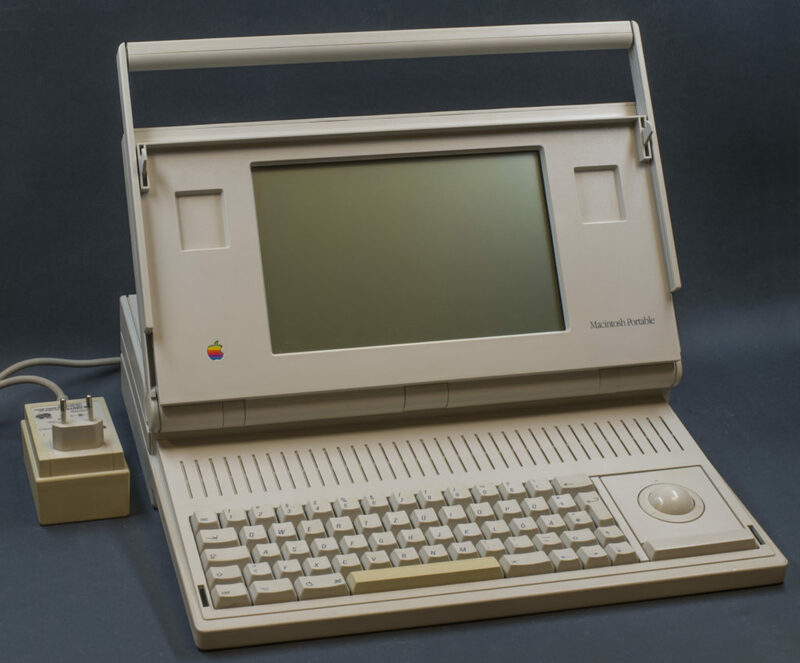 Up until the late 1980s and the early 1990s, computers were not portable, but that all changed with the intro of the Macintosh Portable and its more successful cousin, the Mac PowerBook, which was sold until 2006. The included trackball helped aid adoption of the technology and supported the launch of the Apple Newton PDA (Personal Digital Assistant), which resembled an iPhone. While the device was never wildly popular, it was produced until 1998 before being discontinued. Another noteworthy product from the 1990s was the Palm Pilot, which became the first of many synchronized handheld products. Sony entered the U.S. market with the successful introduction of the Vaio laptop, a sleeker PC that included excellent audio-visual capabilities, web cameras and handwriting recognition. In 1998, a bright and colorful range of iMacs entered the market and included a 4GB hard drive and a 15-inch monitor. Computer production exploded in the 2000s with Lenovo’s acquisition of IBM’s PC business, driving a wave of expansion with the IBM ThinkPad and millions of personal computers in the market. 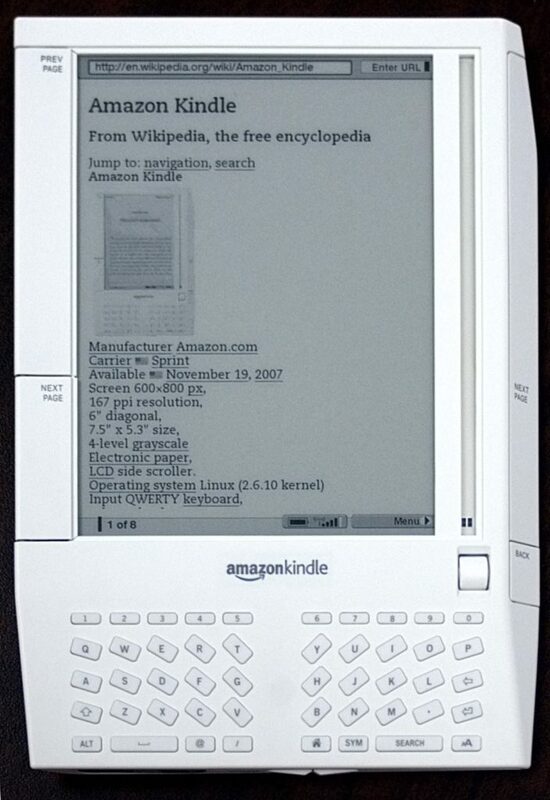 Handheld reading changed forever with the introduction of the Amazon Kindle, the first truly successful electronic reading device. In 2007, Apple made a move that had a dramatic impact on the handheld computing market with the introduction of the iPhone. From GPS navigation to apps in the Apple store, the iPhone (and later, the Macbook Air) created a new look, feel and level of excitement around personal computing. The launch of Windows 7 in 2009 rounded out the era of change, miniaturization and excitement in the PC world. Billions of computers were in the marketplace during this timeframe, and entry-level unit costs dropped dramatically, while high-end units retained relatively expansive price points. The 2010s have continued to drive consumer excitement with consistent introductions of new technology. 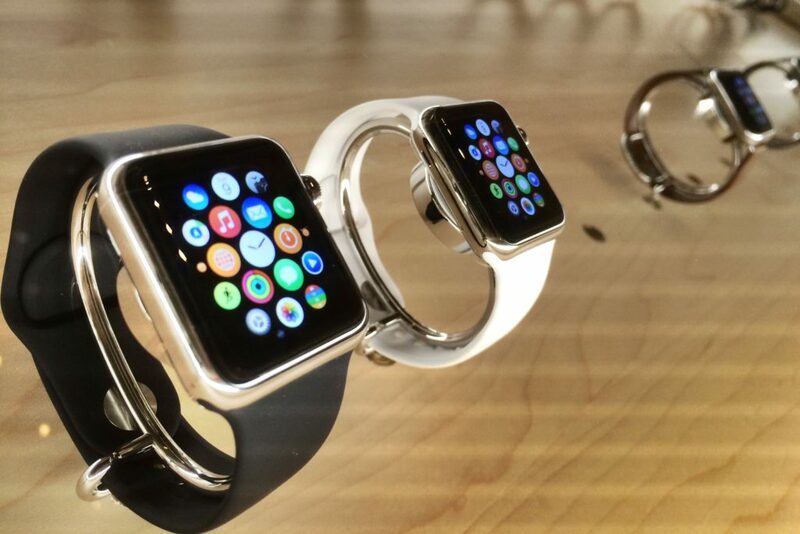 From the Nest Learning Thermostat to the iPad to the Apple Watch, millions of devices are purchased every month. While only around 2 million PCs were available in the market in 1983, about 80 percent of Americans reported having a desktop or laptop computer in their home by 2016. At StrikeCheck, our job is to keep up-to-date on electronics, such as personal computers, to effectively, accurately and fairly resolve claims questions for insurance carriers. Our subject matter expertise allows us to take the guesswork out of settling damage claims for adjusters like you. If you have an electronics claim that you need assistance with, call us today at 888-980-8544, click here to submit a new claim, or email claims@strikecheck.com.